A living legend of the present generation in Estonian pop music, ingenious songwriter and multi-instrumentalist Vaiko Eplik performs at IDeeJazz with his new project “Triller” that also includes domestic jazz guitar guru Ain Agan and charismatic guitar virtuoso Andre Maaker. Three masters of their trade are going to play instrumental arrangements of Vaiko Eplik’s songs on three guitars. We can anticipate a concert that offers joy of recognition for Eplik fans, exciting arrangements for jazz aficionados and spirited stage charm for everyone present. The name Vaiko Eplik represents an authoritative style symbol in domestic pop music. Self-conscious, sharp, sensitive, critical, poetic – his music has already inspired singers and listeners of several generations and it has come to signify the sound pattern of a certain era in Estonian popular music. He has released 20 official albums, including 9 annual solo albums – each of them a gem of its own. In addition, of course, there has been a series of recordings from the earlier period with pop groups such as Claire’s Birthday, Koer and Vaiko Eplik & Eliit. Eplik has also released two duo albums in collaboration with the pianist Kristjan Randalu – “Kooskõla”(2011) and “Lahkhelid”(2017). Eplik’s music is surely known to all Estonians; melomaniacs tend to be even addicted to it. The widely acclaimed artist who is often called a genius is certain to leave an impression also when performing live on stage. Ain Agan is a man with a guitar whose tasteful musicianship has adorned tens if not hundreds of recordings both in Estonia and abroad. 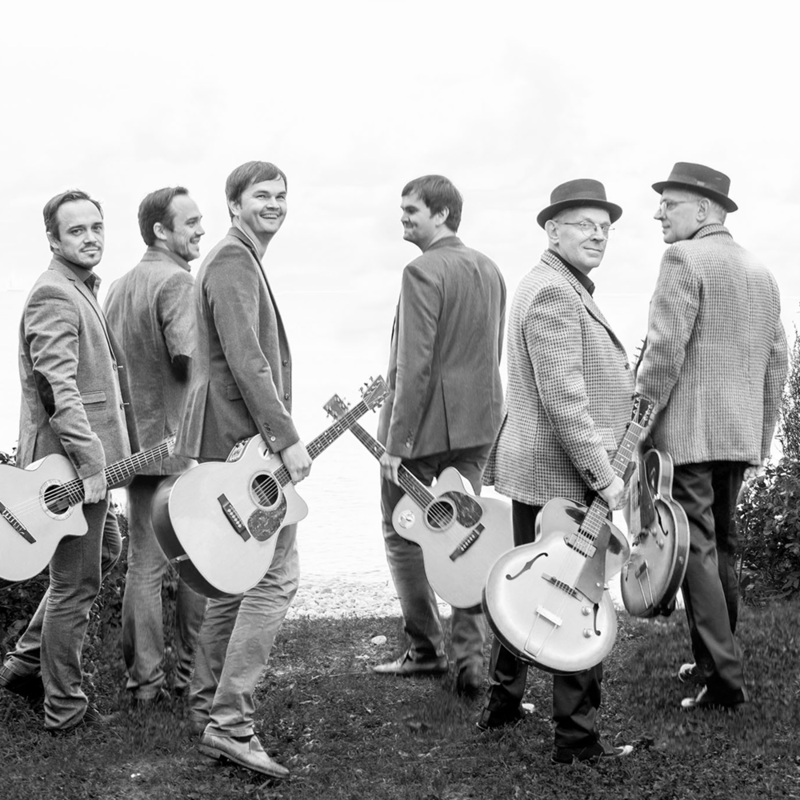 Ain has recorded and released several albums of popular original music; he is the principal organiser of the Viljandi Guitar Festival, head of the rhythm music department in Heino Eller Tartu Music College and lecturer of jazz guitar. Agan’s playing is characterised by maturity, style and spontaneity, adding up to a memorable performance in each case. Andre Maaker’s musical career so far includes recordings with world’s leading record labels, stage partnerships with almost all of the most important improvisational Estonian singers and intensive solo projects that range stylistically from arrangements of famous song festival pieces to temperamental flamenco. Maaker’s playing is full of conviviality, virtuosity and natural beauty. His performances always induce warm and cozy feelings. The guitar trio Triller brings together three distinct Estonian musicians and three different guitar styles. Vaiko Eplik, Ain Agan and Andre Maaker seek to make instrumental guitar music where each instrument sings. IDeeJazz is fond of new and interesting ideas – and this newly born collective has plenty of them!